What does a CONNEX Nationwide Business Opportunity Cost? CONNEX Nationwide is a home-based, turnkey business which serves as a concierge service that makes moving into a new home easier for home owners. 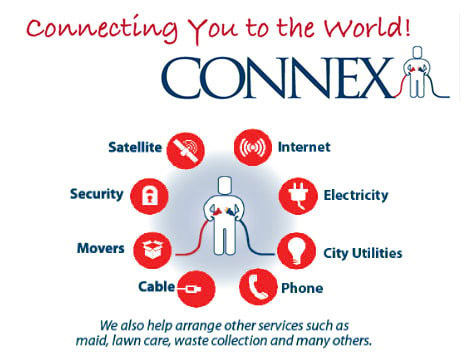 CONNEX is a free service which sets up utilities, communication and home services for customers. The total investment to become a CONNEX owner is $10,000 and in return as the services expert, you will earn commission from the vendors you work with. CONNEX - a Fun, Home-Based Turnkey Business. CONNEX streamlines how all utility and communications services get connected and make sure customers get the best prices. This service is completely free to homeowners. Let Connex do the heavy lifting and research for customers and facilitates the services being installed within 1-2 days! Learn about becoming a one-stop-shop for realtors and customers. Open CONNEX Nationwide in any of these available states: AL, AK, AZ, AR, CA, CO, CT, DE, FL, GA, HI, ID, IL, IN, IA, KS, KY, LA, ME, MD, MI, MN, MS, MO, MT, NE, NV, NM, NC, ND, OH, OK, OR, PA, SC, SD, TN, TX, UT, VT, VA, WV, WI, WY, DC. As a CONNEX business owner, you would connect people with utility and communication services they need easily and quickly. This service is free to homeowners and you would earn commission directly from the vendors. Your business can be up and running in weeks and CONNEX is here to support you for as long as you want it. Take the first step to learn more and inquire today.